They knew it was the end. Weakened by four years of war, the reality had finally dawned on the Germans that their armies could never stop the combined might of the Allied forces, now bolstered by the fresh, enthusiastic Americans, who were now determined to be involved in the conflict that had engulfed the world. The US effort in 1918, in what became known as the Hundred Days Offensive, was focused on the Argonne Forest. It was there that 1,200,000 men were deployed in what was to be the largest offensive in the United States’ military history. It was in the fighting in the Argonne Forest that one of the most remarkable incidents in the entire First World War took place. In October 1918, Corporal Alvin Cullum York single-handedly captured 132 Germans and killed twenty-one in a desperate fire-fight. York’s battalion of the 328th Infantry Regiment had become pinned down by heavy machine-gun and artillery fire. Its commander sent Sergeant Bernard Early, four non-commissioned officers, including the recently promoted Corporal York, and thirteen privates to infiltrate the German positions and neutralise the machine-guns. The small American force came upon a large group of enemy troops having breakfast, and these were taken prisoner. They then came under fire from German machine-guns which left eight men were killed or wounded and York as the senior NCO. York and the survivors returned fire and silenced the enemy, allowing the Americans to rejoin their battalion with the 132 prisoners in tow. York was promoted to Sergeant and he received the Congressional Medal of Honor. The site of this famous action was believed to have been identified in 2009 and a memorial erected by the French authorities. However, a team of archaeologists, with help from the French Department of Archaeology and the use of modern day Geographic Information Science, believe that the memorial is incorrectly situated, and have uncovered thousands of exhibits to support their claim. 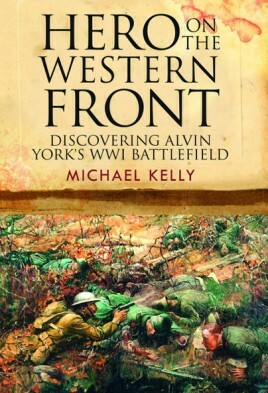 Complete with detailed plans and diagrams, and a rich variety of photographs of locations and artefacts, Michael Kelly presents not only a fascinating account of York’s determined courage, but also a detective story as the team unravels the evidence to reveal the exact ravine where the most famous US military action of the First World War took place. MICHAEL KELLY was born in Sheffield, Yorkshire, England. Educated at the University of Hull, he served for twelve years in the Royal Navy before joining the British police and working as a detective in the Regional Crime Squad, Major Crime and Surveillance Units for twenty-five years. After a serious injury on duty, he was retired from the police in 1999. 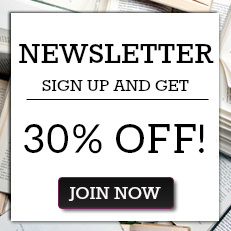 Since then Michael has been a guide and a military historian on the battlefields of the Western Front and Normandy. He is founder member of the Nolan Group, which is engaged in the exploration of the site and action where Alvin C. York was awarded the Congressional Medal of Honor in the Argonne Forest, France. Michael is former chair of the H.M.S. Ganges Association, a past president of Grimsby Rugby Union Football Club and President of the Lincolnshire Rugby Football Union.